Note: Tickets are general admission with standing room only. Guests must be 19+. 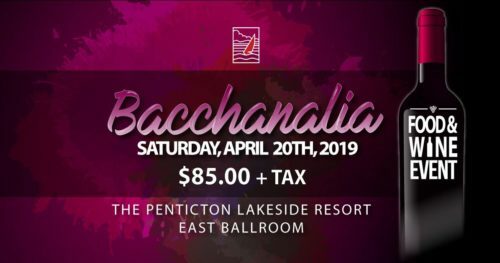 Taking place in the Resort’s new East Ballroom, guests will enjoy Executive Chef Chris Remington’s culinary masterpieces and can experience some of BC’s most acclaimed wines with over 200 to choose from from over 60 wineries represented. Cocktail attire strongly encouraged. Accommodation packages start at only $269 plus applicable taxes based on double occupancy and include two tickets and one night accommodation on April 20th, 2019.